I really dislike Sundays. Not for the fact that it's the last day of freedom from work, but that there is no mail on Sundays. I am currently working on my patience skills, but on Sundays, it really does test it. 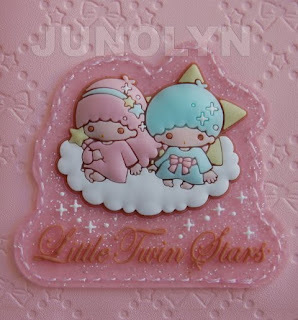 Just last week I got this very pink, yet adorable Little Twin Stars planner. It made waiting for it in the mail feel like torture. Isn't it so pretty? 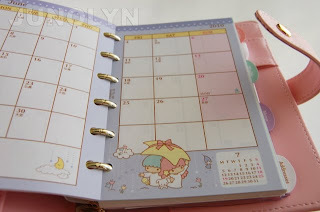 ^ I promised myself I would start using my sanrio items and it is sitting on my desk, waiting for me to use it. B-U-T I'm still hesitating because I love it so much. 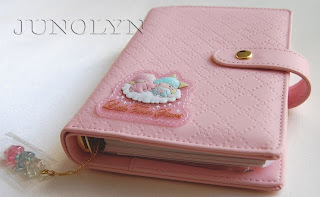 It also doesn't hurt that this planner is made of pink leather! Have I mentioned it's so pretty??? I even got refills for the planner. So, I really should start using it... maybe next year after I open it up daily to smell the new scent of my planner. Don't you just love smelling brand new products? BIG one step progress: It's out of it's original plastic! It's sitting in open contaminated air. Below are two vintage sanrio Keroppi collectible items that are up for sale on my eCrater Store. 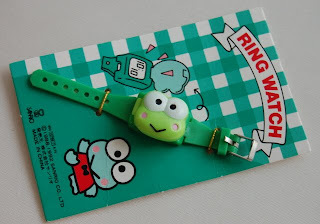 ^ This 1992 Keroppi ring watch is one of my favorite treasured items in my collection. This is an extra piece I am selling and I won't let it go for cheap. I know it's value and worth. I have an extra one that I actually wear when I go out. Yes, I know, can you believe it? Me, using something! Like I said once you have triple copies, you'll use it. Now, this Keroppi wall clock is super cute. I'd keep it and decorate my bedroom wall with this item, but I really do need to downsize my collection. Once I put in the double AA batteries, the middle wheel starts spinning and making such cute clock noise. If you're a Keroppi fan, you definitely want this added to your collection. 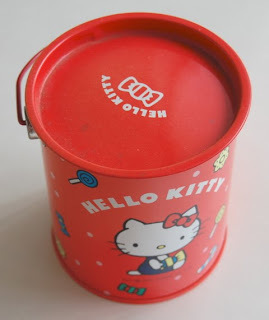 Below is a 1976 Hello Kitty vintage tin container. Excellent to add to any Hello Kitty display that you have going. It's a classic look and you can store little knick knacks or even candy in it. Surprisingly for it's age, it's a clean product inside and outside. Next up is a vintage 1976 My Melody cup. It really is a very nice piece of collectible item. I really do adore My Melody, but she will always be my least favorite out of all 5 characters. 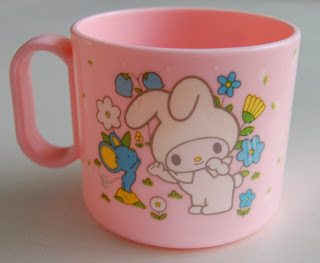 Maybe it's because I have fewer vintage My Melody items in my collection.